In order to cater to the diverse requirements of honorable clients, we are able to offer Weather Proof Cable Glands. The offered range of weather proof cable glands is made by reliable vendors, who ensure to bring it in strict compliance with the international quality standards. Along with this, the offered range is used in normal climatic conditions, owing to its rust & dust resistant nature. These products are suited for corrosive atmosphere, when kept protected by PVC shroud. 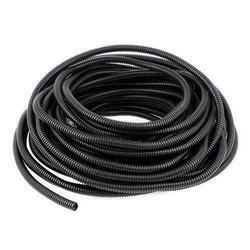 This range is best suited for cables available in different sizes such as 1000 sq. mm. and control cables up to 61 cores. Also, the offered range is known for dimensional accuracy and durability. Backed by the rich experience and a competent team of professionals, we are able to offer Double Compression Flame Proof Cable Glands (Gas Group IIC). The offered range of glands is suitably inspected in varied characteristics to ensure its adherence with the highest quality norms and standards. Along with this, the offered range of glands is ideally utilized in hydrogen gas/vapors area (for gas group IIC) as well as in normal climatic conditions. Appreciated for its weather, water and dust proof nature, the offered range is utilized in hazardous climatic conditions. Best suited for its usage in hazardous climatic condition and also in corrosive environment, when protected by PVC shrouds, this range is ideal for cables available in sizes ranging up to 1000 sq. mm. and control cables up to 61 cores. Owing to the immense experience and a competent team of experts, we are able to offer Heavy Duty Cable Glands to respectable clients. 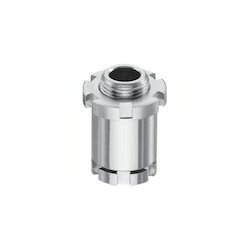 These heavy duty cable glands offered by us are made utilizing high grade raw material at trustworthy vendors premises. In addition to this, the offered range of heavy duty cable glands is ideally utilized in corrosive conditions when protected by the PVC. 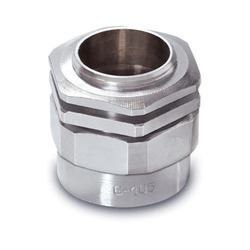 Our organization is an eminent name, which is engaged in delivering E1W Type Cable Glands to the respectable clients. The offered range of cable glands is available in various specifications with respect to the assorted requirements of honorable clients. In addition to this, the offered range of cable glands is applicable for SWA or rubber sheathed cables. 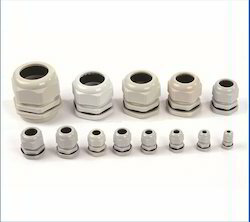 In order to append and respond to the diverse demands of clients, we are able to offer Nylon PG Thread Cable Glands. 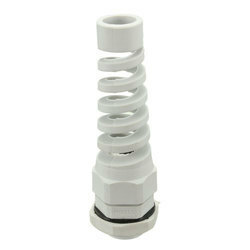 The offered range of thread cable glands is designed utilizing high grade nylon at trustworthy vendors of the market. In addition to this, the offered range of thread cable glands is best suited for its usage in indoor conditions. Application Used in Dry Indoor Conditions. We are offering BW Type Cable Glands to our valuable clients. We are providing Flame Proof Cable Glands to our clients. We have gained immense expertise in delivering Marine Type Cable Glands to our clients. The offered range of cable glands is available in different shapes and sizes to cater to the diverse requirements of esteemed clients. Along with this, the offered range of cable glands is tested on number of characteristics to ensure its conformation with the benchmarks of quality. This range is applicable for various marine applications. 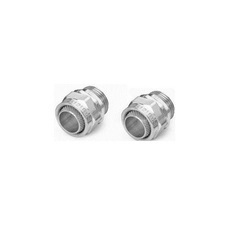 Our customers can avail Alco Cable Glands from us. 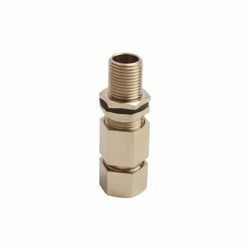 This also known as G Type Cable Glands The offered range of cable glands is designed utilizing optimum grade brass at dependable vendors' premises. Along with this, the offered range of cable glands is ideally applicable in SWA, plastic & rubber (elastomer) sheath cable and applicable in dry indoor condition. 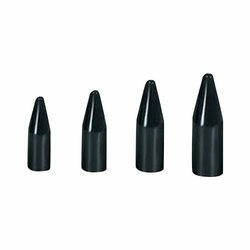 This range is available in sizes ranging from 20 mm to 75 mm. 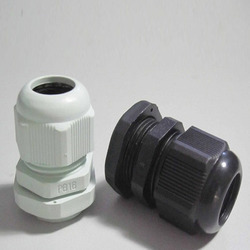 We are manufacturer of Nylon Straight Cable Glands. We have a large production line for the same. 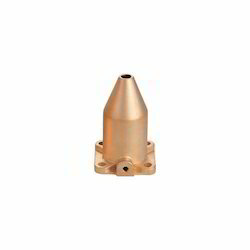 We have carved a niche in trading and export of a wide assortment of A1/A2 Type Cable Glands. These cable glands are manufactured and engineered using premium quality material as per international quality standards. We offer these cable glands in various specifications with respect to the assorted requirements of clients. These cable glands are applicable for various indoor & outdoor applications. 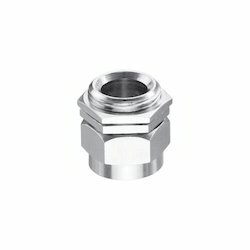 We offer these cable glands to our esteemed client base at market leading price. We are an acclaimed name in the market, engaged in presenting a superior quality array of Armoured Cable Gland. 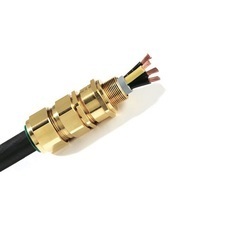 This copper made cable-gland is widely used for various electrical applications. 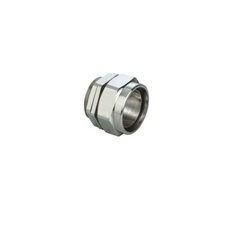 The offered cable gland is used for connecting devices of electronic machines. Moreover, the offered cable gland is manufactured by our deft professionals who ensure that faultless working during operation period. In addition, it is known for its high durability, excellent surface finish and easy installation. 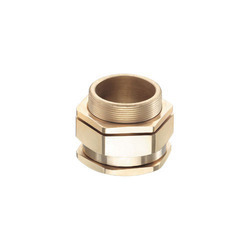 We are a leading firm, which is engaged in offering Cable Gland Brass. 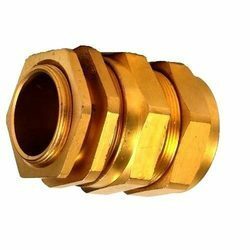 The offered range of cable gland is designed & developed utilizing superior grade brass and modern machines by dependable vendors of the market. 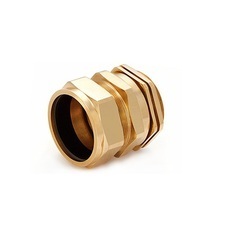 Moreover, the offered range of cable gland brass is ideally utilized for unarmored or rubber sheathed cables and is applicable for indoor as well as outdoor usage. 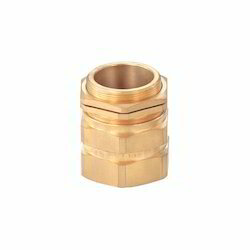 We are able to offer Brass Cable Gland at client's premises. 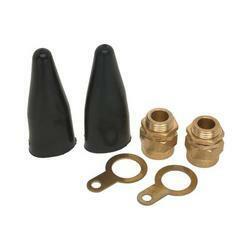 The offered range of brass cable glands is procured from certified vendors of the market. 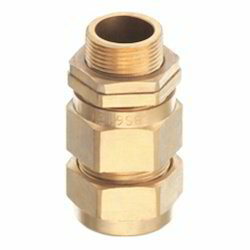 We are able to offer Brass Cable Gland at client's premises. We are a reckoned enterprise, which is engaged in delivering Wiping Type Cable Glands to the clients. The offered range of wiping type cable glands is made by authentic vendors, who ensure to bring it in strict conformation with the international quality norms and standards. Along with this, the offered range of wiping type cable glands is available with inner ring frames for positive armor clamp and earth continuity. We are supplier of Spiral Cable Glands Metric for our valued customers. 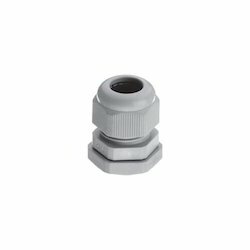 SCG Cable glands have all features of standard PG Thread Cable Glands with an added cable support to prevent damage and kinks in the cable. 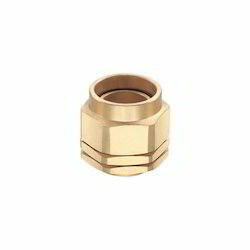 We are a leading firm, which is engaged in offering Cable Gland Brass. 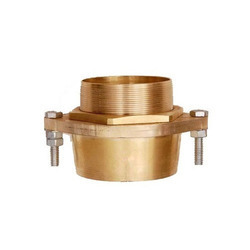 The offered range of cable gland is designed & developed utilizing superior grade brass and modern machines by dependable vendors of the market. 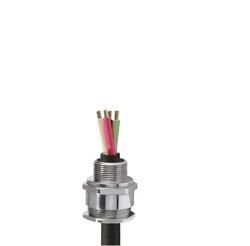 Leveraging upon our vast industry experience, we manufacture and supply a broad array of PG Cable Gland . This cable gland is designed and fabricated using world class raw material and latest technology by our skilled professionals. Offered cable gland is available in different specifications as per the precise needs of the clients at industry leading rates. We are offering superior quality Aluminium Cable Glands to our valuable customers. These Standard Cable Glands are manufactured by high quality material. Our customers can avail these Standard Cable Glands at market leading prices with us. Offering our client a wide range of Plastic Cable Gland to our clients. In order to append and respond to the diverse demands of clients, we are able to offer PVC Shroud. The offered range of PVC shrouds is designed utilizing high grade components at trustworthy vendors of the market. In addition to this, the offered range of PVC shrouds is known for lessening the risk of dirt or foreign substances gathering on the cable gland body and/or point of cable to the gland interface. 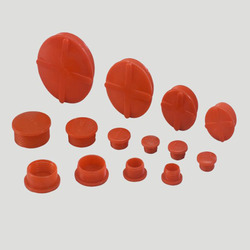 Plastic Dust Caps are mainly used in Hydraulic and Pneumatic Industry. We are offering Flange Type Cable Glands to our clients. Looking for Cable Glands ?